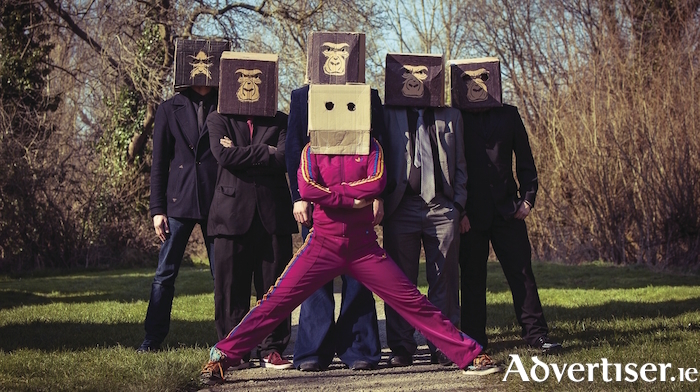 YEARS FROM now, it’s probably starting already, people will speak about King Kong Company’s show in the main tent at Electric Picnic 2017 with near mythical awe, and will boast ‘I was there!’. Everyone else, to preserve their credibility, will pretend they were. This year has been an extraordinary one for the outrageous, brilliant, electronica, funk, brass, rock, but in reality genre-defying, Waterford band (“we call it dubby electro rock,” says Mark Graham ), not only stealing the show at Picnic, but playing Glastonbury and festival on the European continent. To round off 2017, they tour Ireland and undertake their first British tour. Just before this interview the band had played the prestigious Amsterdam Dance Event (“we were pinching ourselves. It was cool!” declares Mark ) - their second visit to The Netherlands, having played Vestrock in June. The shows were a success, but the band found continental audiences much more reserved than Irish gig goers. King Kong Company play the Róisín Dubh on Saturday December 2 at 8pm. Tickets are via www.roisindubh.net, the Ticket Desk at OMG Zhivago, Shop Street, and The Róisín Dubh.